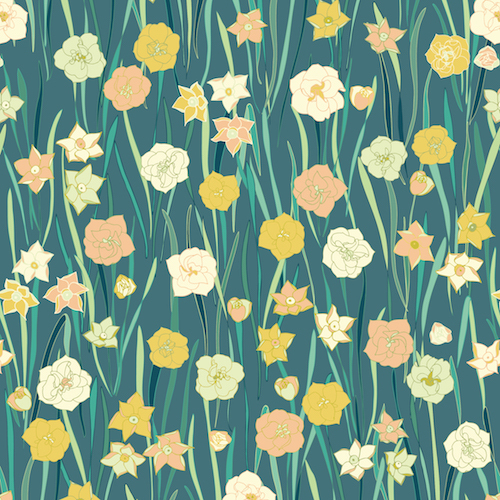 English garden floral a field of daffodils with wonderfully subtle blue green tones accented with blush and yellow highlights on a dark blue background. Fabric from Dashwood Studios the Jardin Anglais collection by Pippa Shaw, 100% cotton. 44"-45" wide.